Before you book your trip to Sedona, there are some things you need to know about this incredible city. Our guests tell us that when they leave there was so much more to see than they thought, and wished they had booked for a night or two more! So when you come to Sedona, plan to stay at least three or more nights, you’ll be happy you did! Please ask us for the Sedona Visitors Guide it is filled with wonderful information! Sedona – the most beautiful place in America is the perfect place as a base for your adventures of the southwest. Fly into either Phoenix or Las Vegas, or start in one and leave from the other; both will work for a trip to Sedona. These are our top 10 places to see on your trip – Sedona tourism – the best! 1. Grand Canyon National Park. 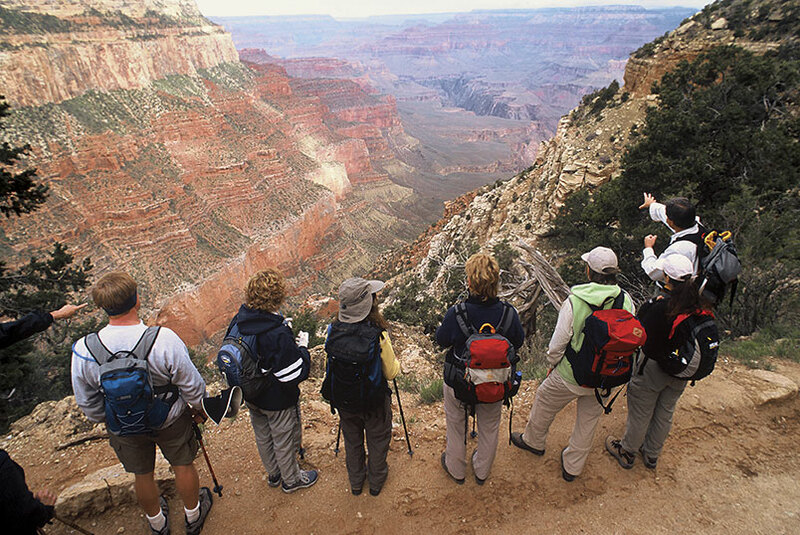 The Grand Canyon is a day trip from Sedona. If you leave around 8:00 or 9:00 am you can see all the spectacular views, doing some shopping for mementos and still be back in Sedona by 6:00 pm. A day trip to the Grand Canyon is an absolute must but the crowds can be intense; so stay in Sedona and take a day to do the Canyon. Sedona offers fine dining, incredible hiking, a variety of lodging choices and more. Highly recommended for Sedona tourism. 2. The Town of Jerome. Jerome is an old mining town nestled in the hills just half an hour south of Sedona. It is known as the most “vertical” city in the U.S. and the largest ghost town! It has unique shopping, beautiful views, a variety of dining options, including The Asylum Restaurant – located in the town’s old asylum! Jerome has beautiful views, interesting and diverse shopping, fun activities and events. Check out the museums and historical society as well. This makes a perfect day trip from Sedona. 3. Cottonwood and Clarkdale. These towns are literally minutes from Sedona, with fun, old fashioned main streets to roam, delicious diners and restaurants, wineries and more. 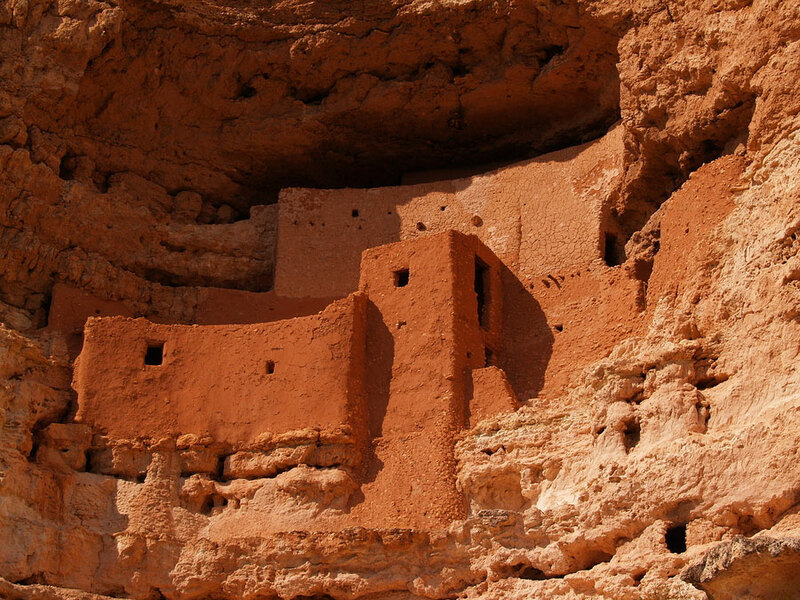 Clarkdale is home to Tuzigoot National Monument that preserves the remnants of the Sinagua. 4. 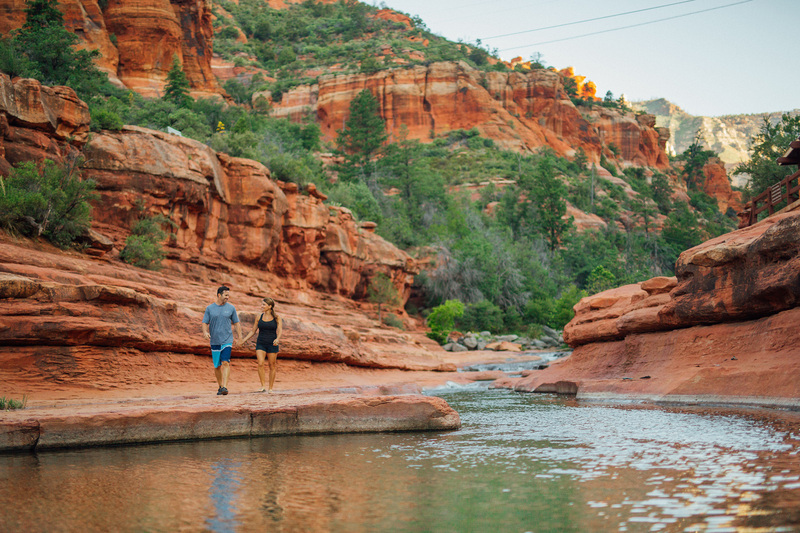 The biking paths and hiking trails in Sedona are what it is all about with over 30 trails in the area; from easy to extreme, along water, with elevation changes, canyon and mountain trails for both hiking and biking. Hiking in Sedona is the same terrain as the Grand Canyon but is more horizontal rather than vertical, and there is a trail for everyone from a challenging elevated hike to a nice walk. At El Portal we can make bike rental arrangements for you, and assist with mountain biking regulations. Highly recommended for Sedona tourism. 5. Indian Ruins. (Palatki Ruins and Honaki Indian Ruins). These valuable ruins give us insight to ancient peoples of the area. See petroglyphs, pictographs and more. 6. Painted Desert, Petrified Forest, these are two areas of Northern Arizona not to be missed. The Painted Desert is barren, but filled with color. The Petrified Forest is a National Park, and features one of the world’s largest and most colorful concentrations of petrified wood. The park is also home to the Agate House, a Native American building of petrified wood reconstructed during the 1930s. 7. Second Hopi Mesa. The Villages are among the longest continuously inhabited places in North America. Visit Hopi Villages, meet artists in their home workshops, enjoy unique Hopi food, and meet some of the friendliest people in the world – the Hopi people. 8. Montezuma Well & Montezuma Castle. It’s not a castle and Montezuma was never here! This five-level, 20 room cliff dwelling “Montezuma Castle” nestled into a limestone recess high above Beaver Creek served as a “high-rise apartment building” for ancient Sinagua Indians over 600 years ago. 9. State Parks. There are a number of state parks in the area. Fort Verde State Historic Park, Dead Horse Ranch, Homolovi Jerome, Riordan Mansion, and Verde River Greenway are state parks in Northern Arizona. West Fork Park has beautiful hiking, and is only a short drive from El Portal. Oak Creek Canyon offers hiking and strolling; it’s an incredible drive to just view the scenery. Highly recommended for Sedona tourism. 10. El Portal Sedona Hotel. 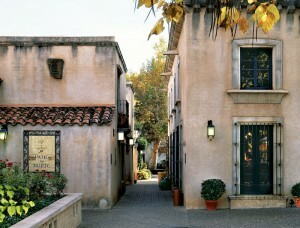 Stay at this beautiful, boutique hotel located in the heart of Sedona. This is where your trip to Sedona begins and ends. These Sedona AZ accommodations have received AAA’s Four Diamond Award Rating. We offer our guests personalized concierge services for the Sedona area. We assist guests in planning day trips, jeep tours, hikes, make tee times, and dinner reservations. We will arrange helicopter rides, hot air balloon excursions, day trips on the Colorado River and more. If you need a spa treatment or tee time we will look after it. We want you to get the most out of your trip to Sedona, and will help our guests in any way we can. As a pet friendly hotel, there is no charge for pets (up to room limit). Our guests can enjoy access to a full gym and two swimming pools right next door at Los Abrigados – perfect for families! We can give you the Sedona Visitors Guide as well.